Actress Gabrielle Union opened up to Ebony Magazine recently with a letter to her younger self, hoping to inspire women and girls going through hard times, dealing with things like colorism and low self-esteem. Rich, poor, famous or not, light or dark, short or tall, COLORISM and self-esteem don’t discriminate. Let’s embrace our stories and the stories of others so we call can learn from painful pasts and move forward! 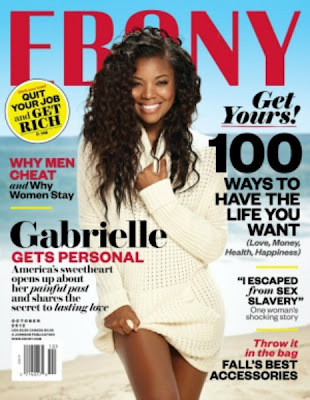 And to read the rest of Gabrielle Union’s letter, check out October’s Ebony Magazine, in stores this coming week!